Browse our fantastic collection of over 100 deck mixer taps, and enjoy incredible discounts on the entire range. We stock up to the minute designs from some of the most reputable deck mixer taps manufacturers, including Astracast, Bretton Park, Rangemaster, and Smeg. Fit your kitchen with one of our gleaming stainless steel deck mixer taps, or opt for a modern single lever chrome tap to complete your kitchen. Benefit from incredible discounts, with many deck mixer taps now available with over 55% off the recommended retail price at HC Supplies. See just how much you can save. 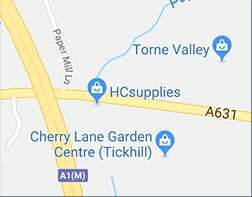 HC Supplies is known as the place to go for modern designs at reduced prices, and with so many deck mixer taps at sale prices, why shop anywhere else? Our online store makes is easy to select the deck mixer taps you want, and to have them delivered quickly to any address in the UK. Have you got your eye on the Smeg Roma Single deck mixer taps? Or perhaps you have fallen in love with the Astracast Camargue Nickel tap? Whichever tap you want, get it at reduced cost at HC Supplies. You will find an amazing selection of kitchen deck mixer taps at our online store, with single and double kitchen deck mixer taps available at reduced cost. The Bellagio tap from Bretton Park is a perfect example of understated elegance with its curved features and twin lever taps, and the Astracast Ariel Volcano deck mixer taps are a popular choice for inner city apartments. Each of our deck mixer taps has been carefully crafted to ensure it is durable, and only the bext materials are used when creating them. Take a closer look at our exclusive range. As online stockists of deck mixer taps, our products are available worldwide, and if you need your purchases to be shipped overseas, our customer services team will be happy to help. UK delivery takes between 2 to 7 days, and you can even arrange to have your items delivered on a specific date to suit your schedule. Simply call our advisers after purchase and we will arrange it for you.